Every occasion requires a dedicated dress and for marriage, sherwani is one of the best choices for a groom. 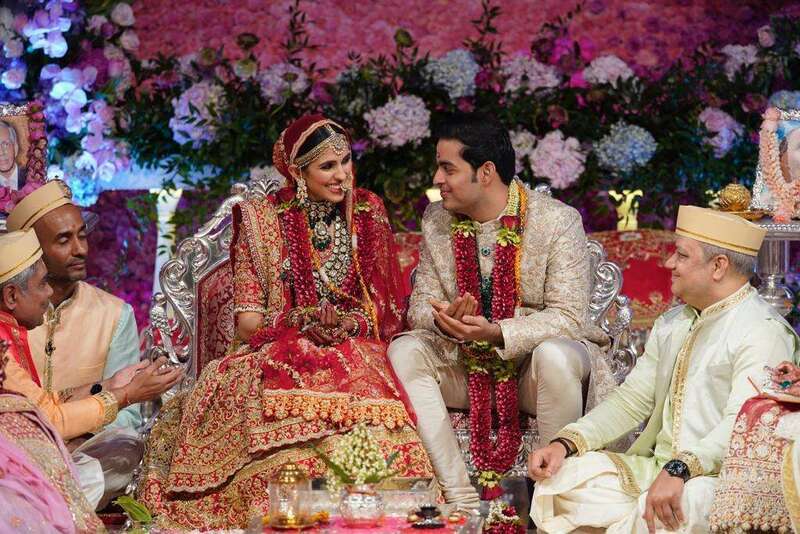 People like spending much on their wedding day in India and they choose the best & high-priced sherwani which suit them. 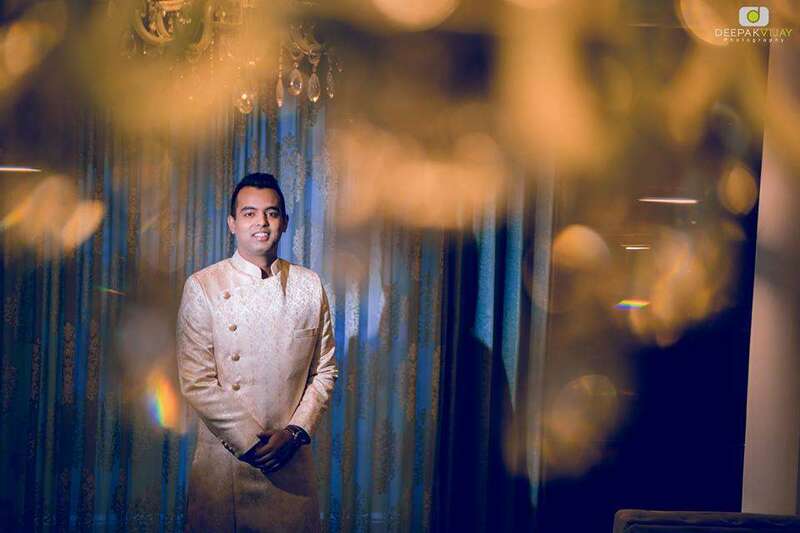 The sherwani has been one of the favorite wedding outfits in almost every city of India. 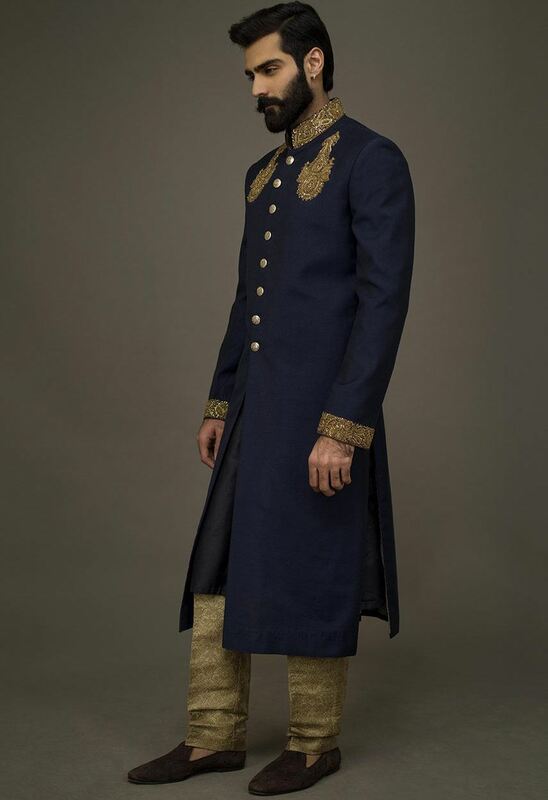 Sherwani resembles much like a coat and go to up to knees and can cover you till your collar. It is an Indian traditional outfit for grooms; it does give you grace and glamour and make you look distinct out of the crowd. It is usually worn over a kurta and churidar pajama to give it a perfect look. It will give you very good look especially if the groom is of big height. 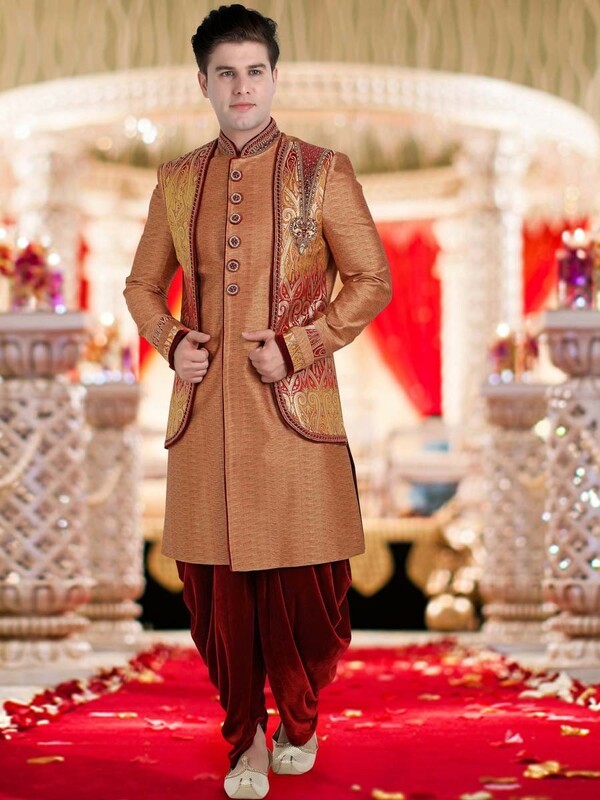 You can easily find sherwani for grooms in Jaipur and other big cities as it provides various outfit ideas for groom. There some of the exceptional trending groom’s sherwani ideas which you can exclusively find in big cities. The concept of sherwani has been taken from the Mughal empire as they had ruled Delhi and other parts of India you can see its influence here. The noblemen used to wear sherwani as their formal dress. 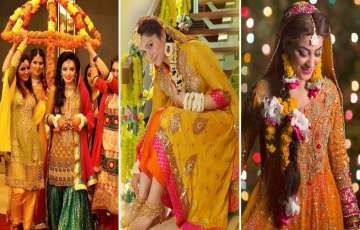 However, with time it became popular and people started wearing it in weddings. It is also the national dress of Pakistan. In India, it is popular and worn on traditional functions and on important occasions. Sherwani now comes in many various sizes, designs, and patterns; you have to choose which type of sherwani suits your taste and what you prefer. 1. Achkan Sherwani - If you want to wear sherwani on your wedding day or big day, then you should choose something which is trending in the fashion these days. Achkan sherwani is one of that outfits which gives you style, as well as the trendy look and that, is why it is a very much popular outfit for the wedding these days. You can wear churidar pajama or you can also opt for a dhoti style pajama both of them suits well. Even you can wear a turban to give it a more traditional look. You can find Achkan sherwani in most of the famous brands like Peter England and others. Achkan Sherwani is very popular due to its charismatic design most groom wears in Jaipur and in other big cities. 2. Jacket type Sherwani - This is one of the very trendy type sherwanis and it does give you prince type look at your big day.This beautiful and exotic jacket is available in all type of fabric like jamwar, banarsi, and other fabrics. The artwork and embroidery are basically done on the jacket to make it look extraordinary. You can wear it with long paijamas or chooridar. 3. Hyderabadi Sherwani- The Hyderabadi Sherwani is a mixture of tradition and royalty and provides you the best blend of both in it. The designs of Hyderabadi sherwani are exquisite and they come in vibrant colors and design. The inspiration of the Hyderabadi sherwani is taken from the golden period of India and it gives you the status of nobles. Its royal cuffs and buttons add to its beauty. 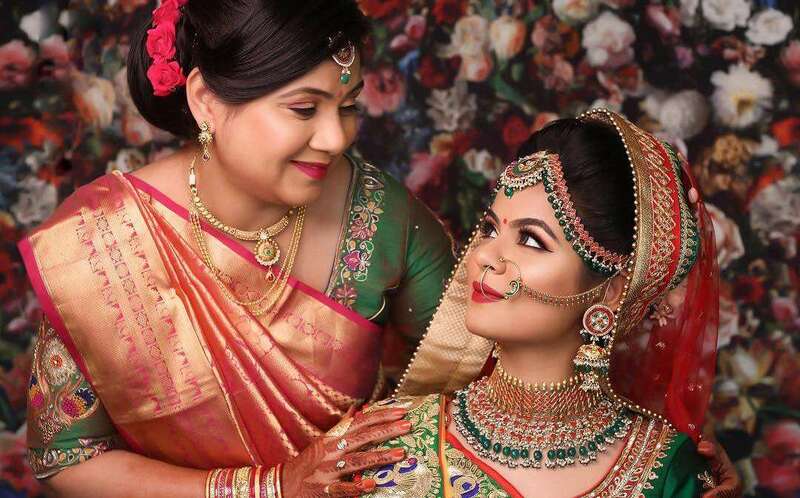 You can pair it with many things and try out different pajamas and cufflinks to give you the impeccable look which you need for your wedding day. 4. Jodhpuri Sherwani– Jodhpuri sherwani are famous for the royal look which it provides to the wearer. 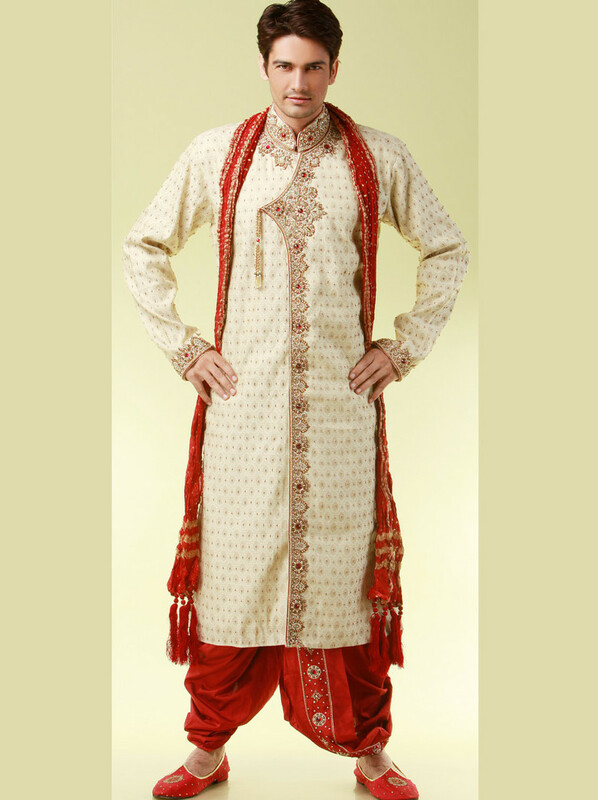 It is one of the famous sherwani styles which people like to wear on their wedding day. 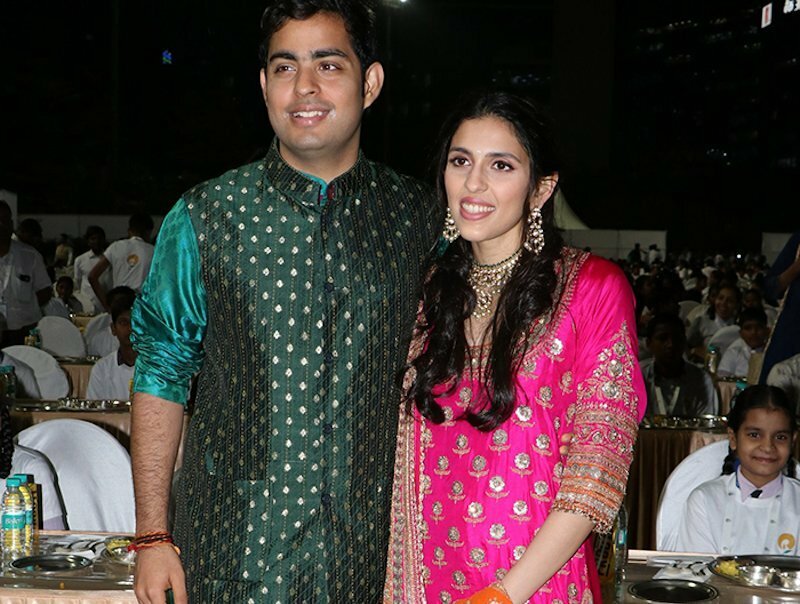 It is so popular that people from different cities come to buy sherwani from Jaipur and Jodhpur. 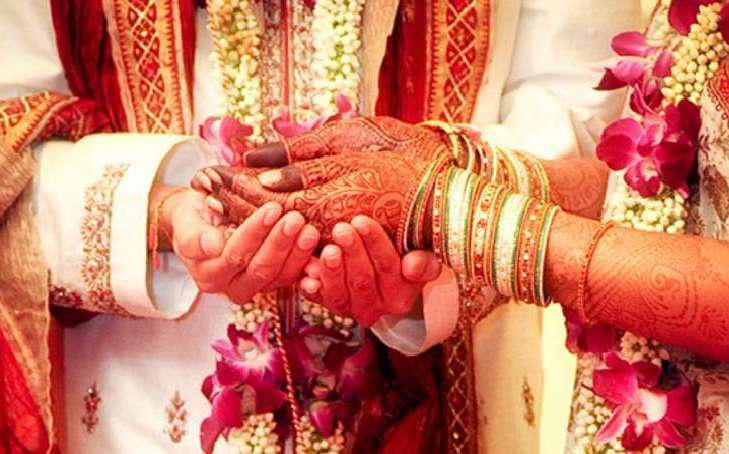 They buy distinct and latest designs which are native to Jodhpur and Jaipur and its one of the reason that Jaipur is one of the famous spots for marriages. The handwork done in this sherwani is fabulous and they are nothing less than perfection. This is one of the prominent reasons why they are expensive. 5. Punjabi sherwani - It is popular in Delhi, Punjab, and Haryana; the basic model almost stays the same and they are most popular in Punjabi’s. The Punjabi grooms love to get dressed in them. 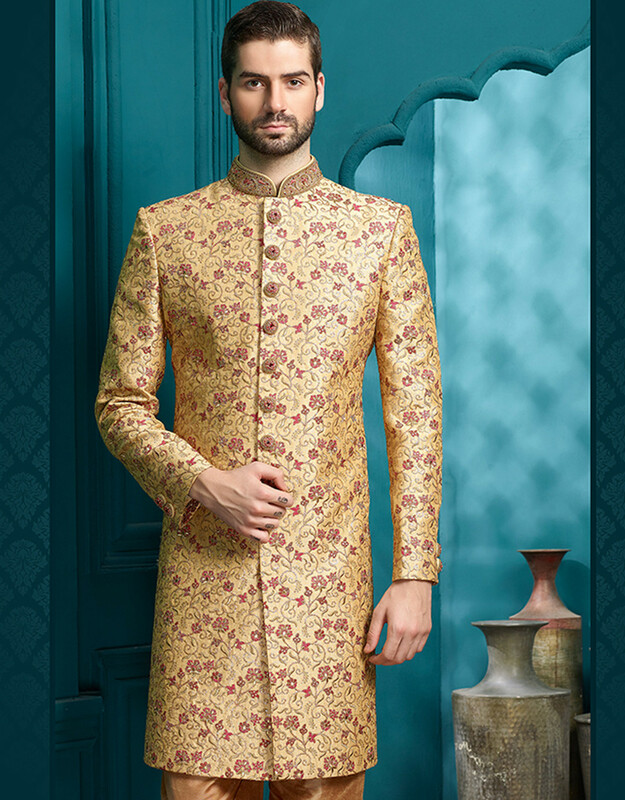 The sherwani is specifically designed on printed fabrics. 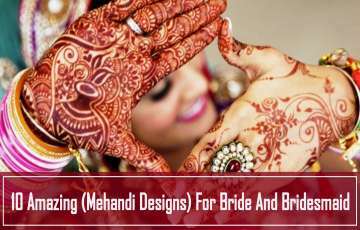 There are artwork and distinct designs and gives you a perfect look and make your photos perfect. 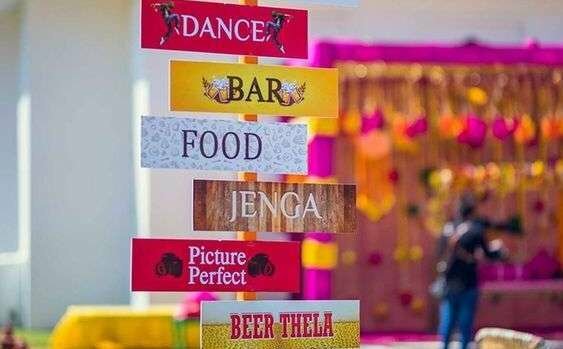 You can use a different kind of props with it to give you an enhanced look on your wedding day. Some of the big brands like Manyavar and Diwansaheb are one of the biggest sellers of the Punjabi type of sherwani. Punjabi sherwani gives you a wide range of artwork and pricing. 6. Pakistani Sherwani - This type of sherwani is famous in Pakistan and native people of that place like it very much. 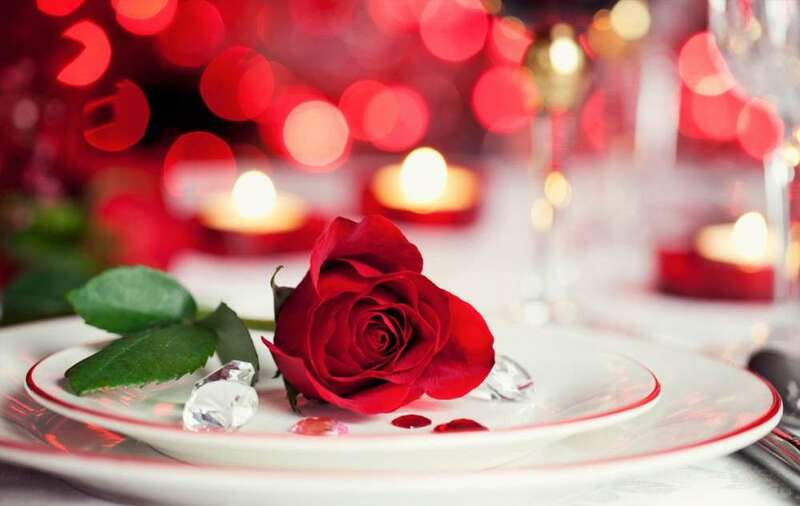 It is also acclaimed worldwide for its design and uniqueness it is an extremely exquisite outfit. If you will look at it you can see the difference you will find some of the finest artwork on it. The Pakistani sherwani is a little distinct from the other sherwani in design and pattern. The Pakistani sherwani is available in various distinct styles and pattern. It can be paired with the chooridar or with the dhoti both will give you a perfect look. It has been prominent among the buyers because of its bodice work. Even the family of bride and groom often choose to dress in sherwani and Pakistani sherwani is usually one of the best choices for them. 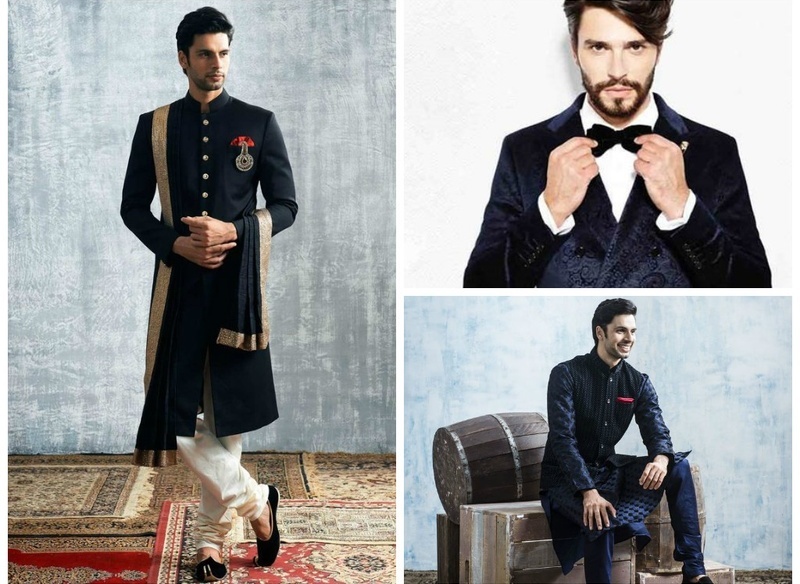 This sherwani can also be used on other occasions other than a wedding. 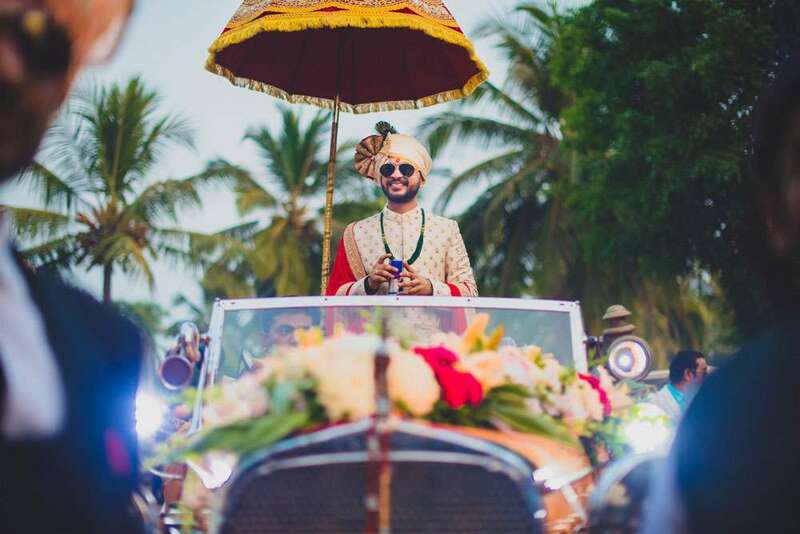 These are some of the most trending sherwani styles which you can find in most of the wedding parties as nowadays people began to choose more of this traditional wear. If you are planning for your big day, then you should definitely choose few best sherwani for wedding functions and the best one for your wedding as they will give you the perfect traditional look.